Unless you have a very chill cat, pets and vacuums often don’t mix. Of course, if you do have a furry friend, a vacuum goes a long way in fighting the pet-hair battle — especially if that vacuum is a robot, and you can set it to do a daily sweep. 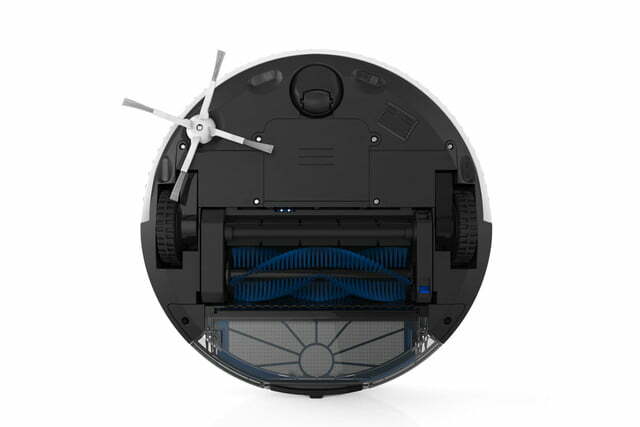 In our testing, we haven’t always found robot vacuums to perform as well as their manual counterparts when it comes to pet hair, but a new bot from Canadian company bObsweep has been engineered for just that problem. In fact, the whole vacuum is supposed to be pet-friendly. The bObi Pet has two bristle-and-rubber brushes, as well as a disinfecting UV light, HEPA filter, and washable microfiber cloth for mopping. It’s meant to be an “all-purpose” cleaner, for both carpet and other types of floors. The battery will last for an hour and a half before needing to rejuice. To make the bObi Pet sleeker and smaller, bObsweep went for a smaller dustbin than the liter-sized one found on its signature bot. “It has stronger suction power, the fan is much stronger than the previous models, and it can pick up more hair, so that’s why we call it Bobi Pet,” Ali Afrouzi, lead technologist at bObsweep, tells Digital Trends. The sound level for the vacuum is between 60 and 65 decibels, says Afrouzi, which is in line with other robot vacuums we’ve tested and shouldn’t be much louder than an air conditioner. 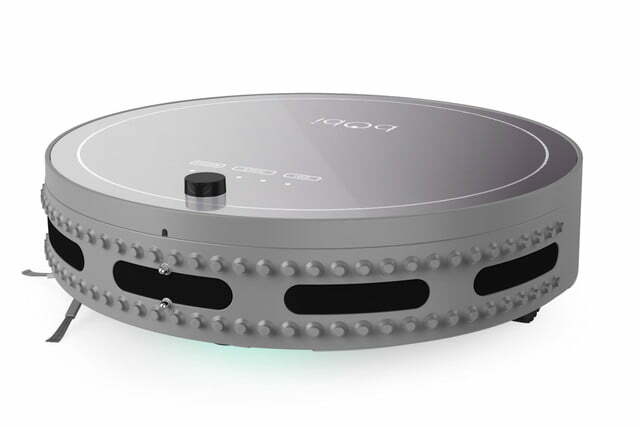 In terms of navigation, the bot’s “TouchMe” technology uses 80 hybrid-silicone/rubber sensors to make sure it doesn’t run into the wall and edge sensors to keep it from falling down the stairs. 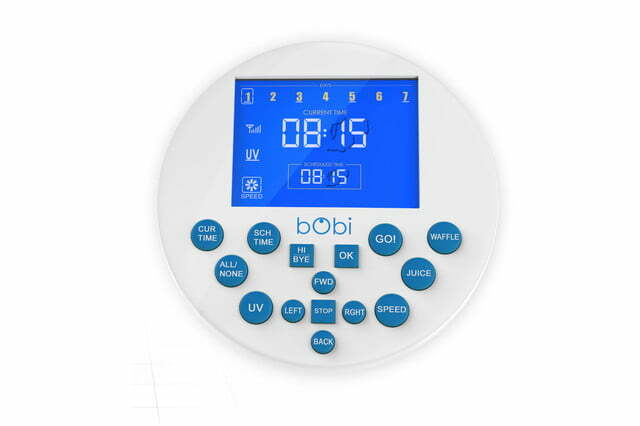 The bObi’s touchscreen is pretty barebones, with three options. 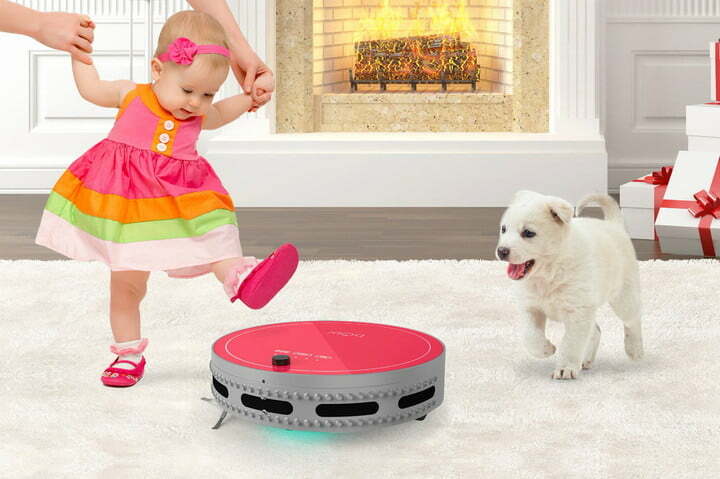 “Go” starts the bot cleaning, “Juice” sends it back to the charger, and the adorably named “Waffle” mode tells the bObi to clean a three-foot area for three minutes. An accompanying remote gives you more function, like letting you schedule the vacuum and use the UV light. It’s also how you’ll get error messages. 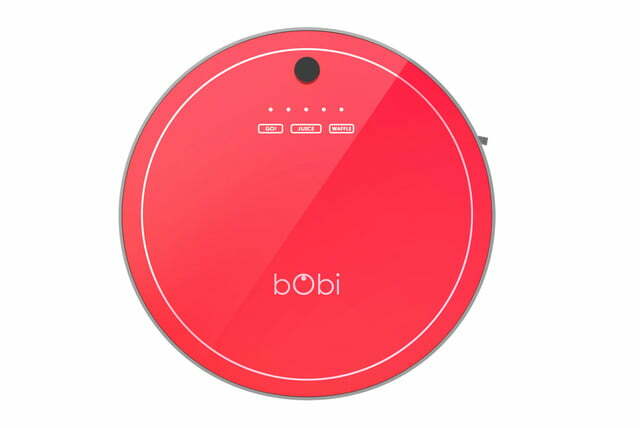 In terms of price, the $850 bObi is comparable to Roomba’s app-controlled 980 model, though the Bobsweep vac doesn’t have the same functionality. However, the bObi Pet will be on sale until Black Monday for $330. Updated 8/9/2016: The story has been updated to reflect that it’s the vacuum’s edge sensors, not touch sensors, that keep it from falling down stairs.